Monarch Air Group provides private air charter in Cary, NC. Our clients benefit from top-notch service, unrelenting dedication to safety, wide selection of aircraft, and years of experience in chartering private jets. To obtain a free quote, please use our online quoting tool provided below, or call toll free 1-877-281-3051. Monarch Air Group provides private jet charter flights in and out of Cary, North Carolina, USA. Cary is a town in east central North Carolina, a commercial and research center. With a population of 135,234 people, Cary is the 7th largest city in North Carolina and the 2nd most populous incorporated town in the USA. The most popular tourist attractions include Fred G. Bond Metro Park, Koka Booth Amphitheatre at Regency Park, William B. Umstead State Park, Thomas Brooks Park, Hemlock Bluffs Nature Preserve, and much more. The nearest airport is Raleigh-Durham International Airport (RDU / KRDU), which is located 9 miles from the city. 1. CTZ, Sampson County, Clinton, United States. 2. DAN, Municipal, Danville, United States. 3. FAY, Municipal, Fayetteville, United States. 4. FBG, Simmons AAF, Fort Bragg, United States. 5. GSB, Seymour Johnson AFB, Goldsboro, United States. 6. GSO, Piedmont Triad Intl, High Point, United States. 7. HBI, Asheboro, Randolph County, United States. 8. HFF, Mackall AAF, Hoffman, United States. 9. LFN, Franklin, Louisburg, United States. 10. POB, Pope AFB, Fayetteville, NC, United States. 11. RDU, Raleigh-Durham International Airport, Raleigh/Durham, United States. 12. RWI, Rocky Mount-wilson, Rocky Mount,, United States. 13. SOP, Pinehurst-S. Pines, Southern Pines, United States. 1. Four Points by Sheraton Raleigh-Cary, 500 Caitboo Avenue, Cary. 2. Embassy Suites Hotel Raleigh-Durham-Research Triangle East, 201 Harrison Oaks Boulevard, Cary. 3. The Umstead Hotel & Spa, 100 Woodland Pond Drive, Cary. 4. The Umstead Hotel and Spa, 100 Woodland Pond Drive, Cary. 5. Four Points by Sheraton Raleigh-Cary, 500 Caitboo Avenue, Cary. 6. Embassy Suites Hotel Raleigh-Durham-Research Triangle East, 201 Harrison Oaks Boulevard, Cary. 7. 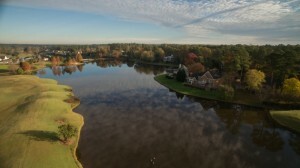 The Umstead Hotel & Spa, 100 Woodland Pond Drive, Cary. 8. The Umstead Hotel and Spa, 100 Woodland Pond Drive, Cary. 9. Four Points by Sheraton Raleigh-Cary, 500 Caitboo Avenue, Cary. 10. Four Points by Sheraton Raleigh-Cary, 500 Caitboo Avenue, Cary.